Offering one of the most popular home security systems in the United States, Brinks has easy resetting and reprogramming instructions for its security keypads. Whether the keypad is on a home safe or an alarm system, the program is reset in the same way. Setting a new passcode can be done in just seconds from the keypad using only the factory passcode or your previously set passcode, and can be changed as often as you like. Keypads are popular home security accessories. Set or open the keypad with the factory assigned passcode (located in the instruction manual), or your previously programmed passcode. 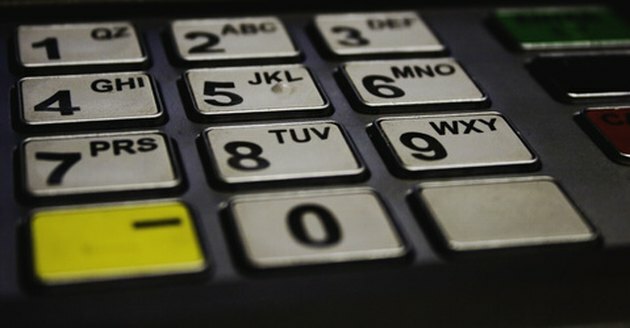 Press the red memory button on the side of the keypad (or on the back of the lock cover for a Brinks safe). Wait for the keypad to beep twice and for the yellow indicator light to turn on. Enter a new passcode into the keypad, using three to eight numbers. Press the "B" key after you have input the passcode and wait for the system to beep twice to indicate successful programming.